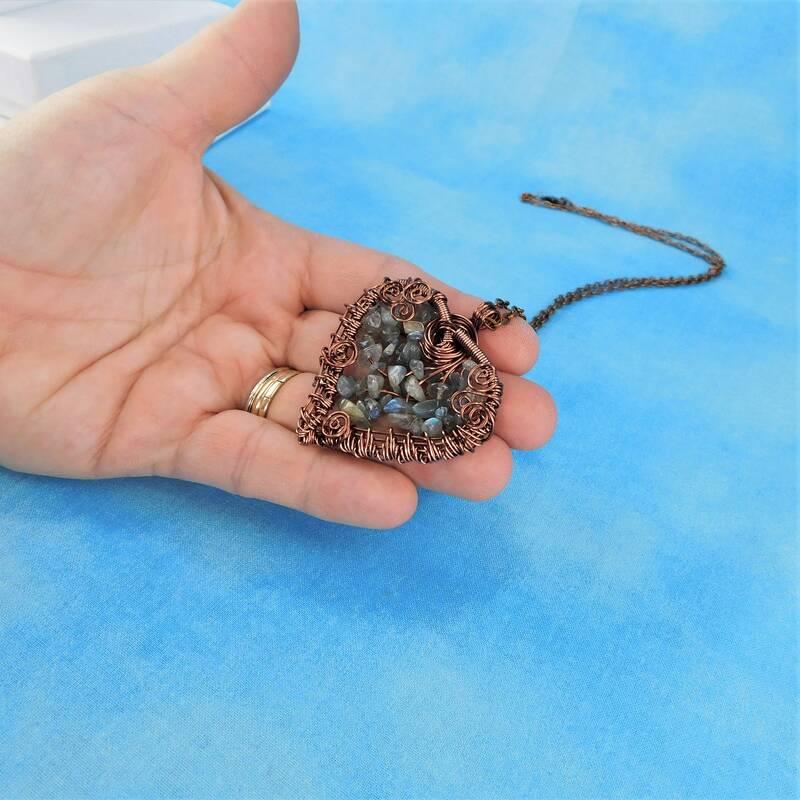 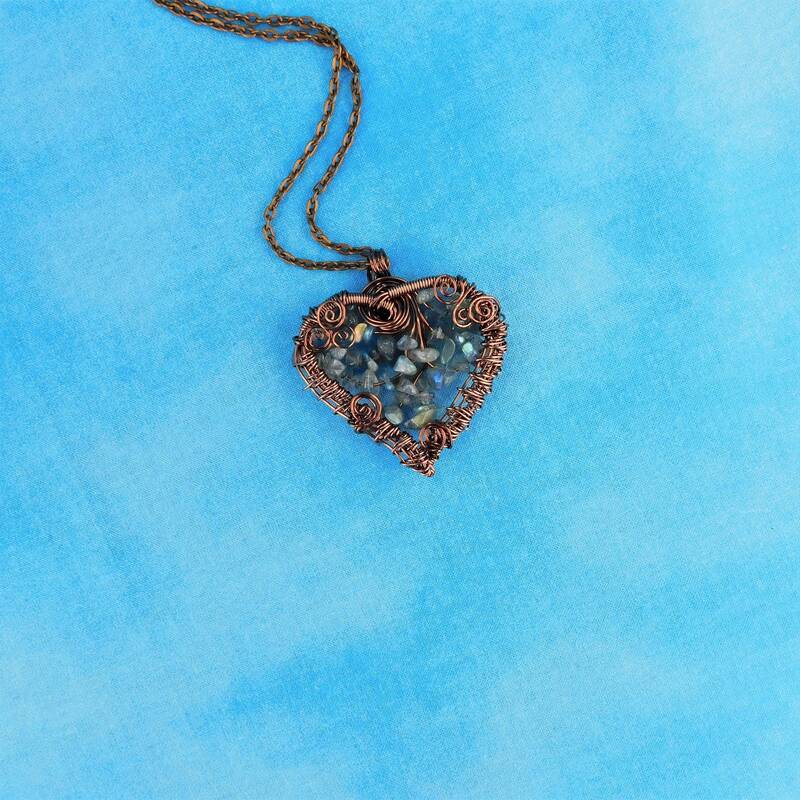 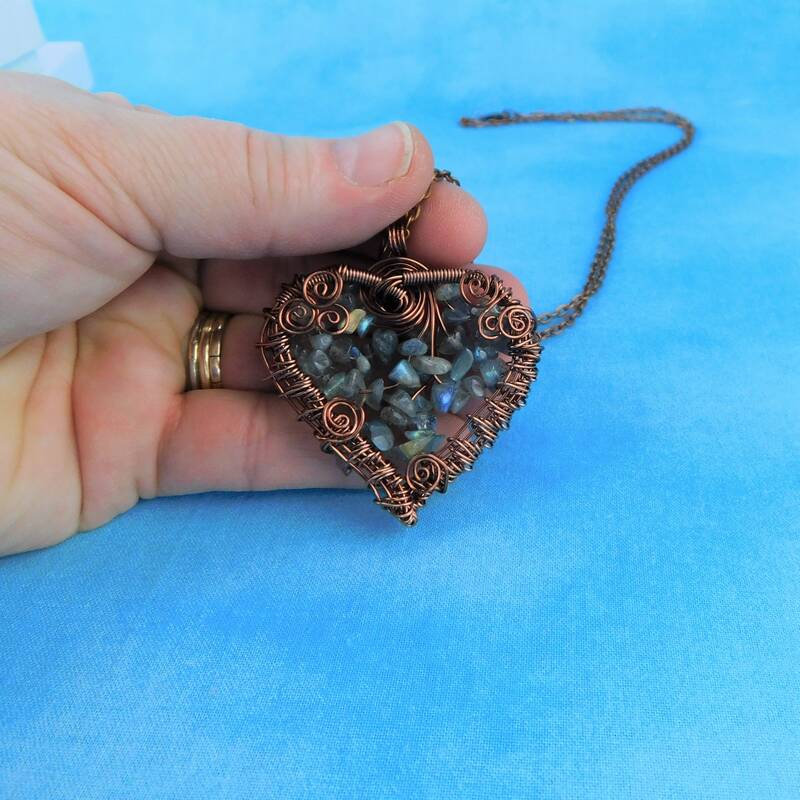 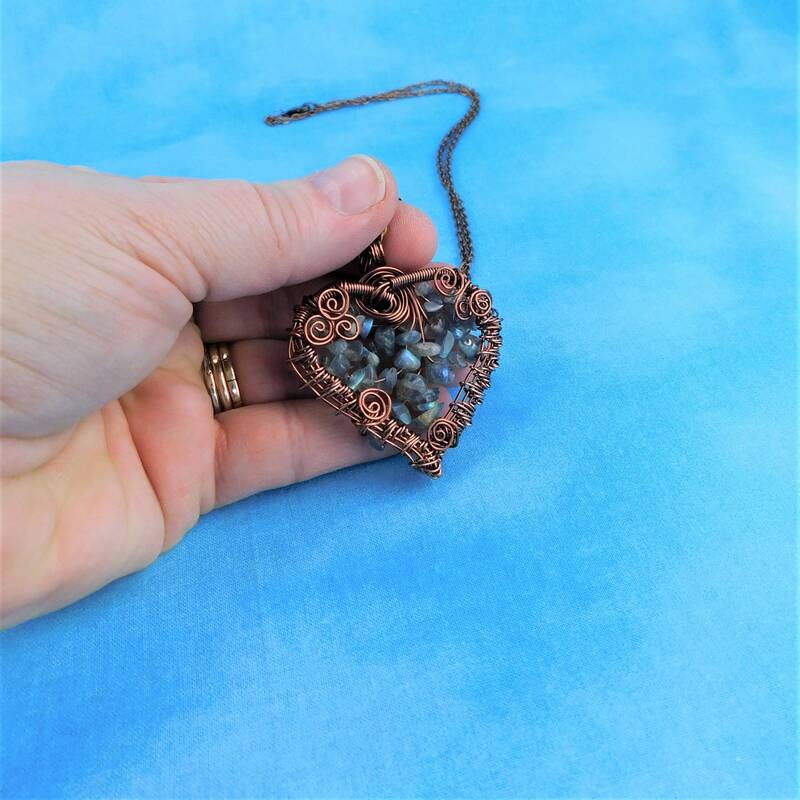 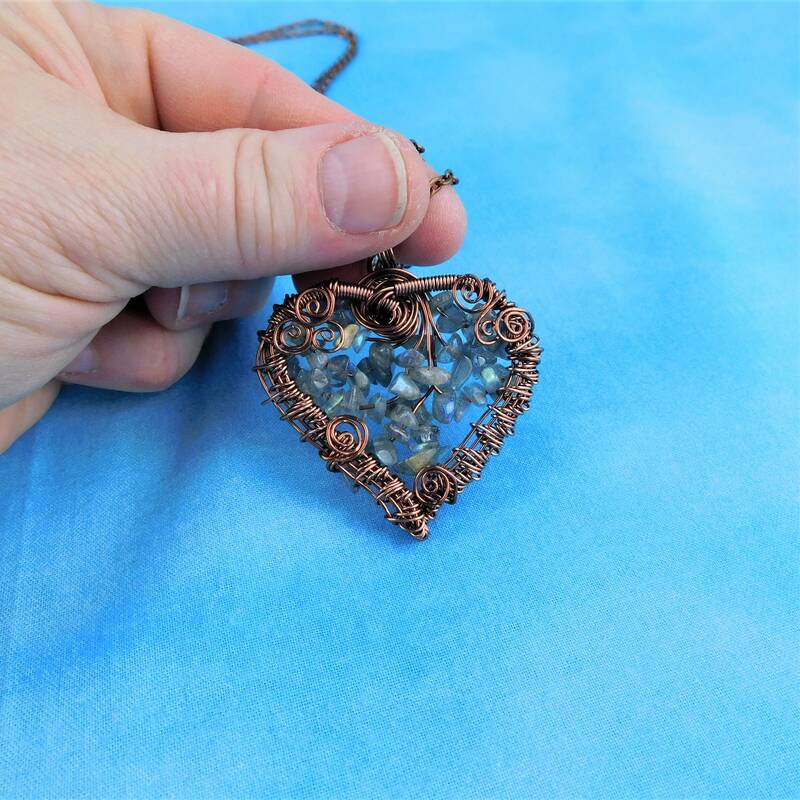 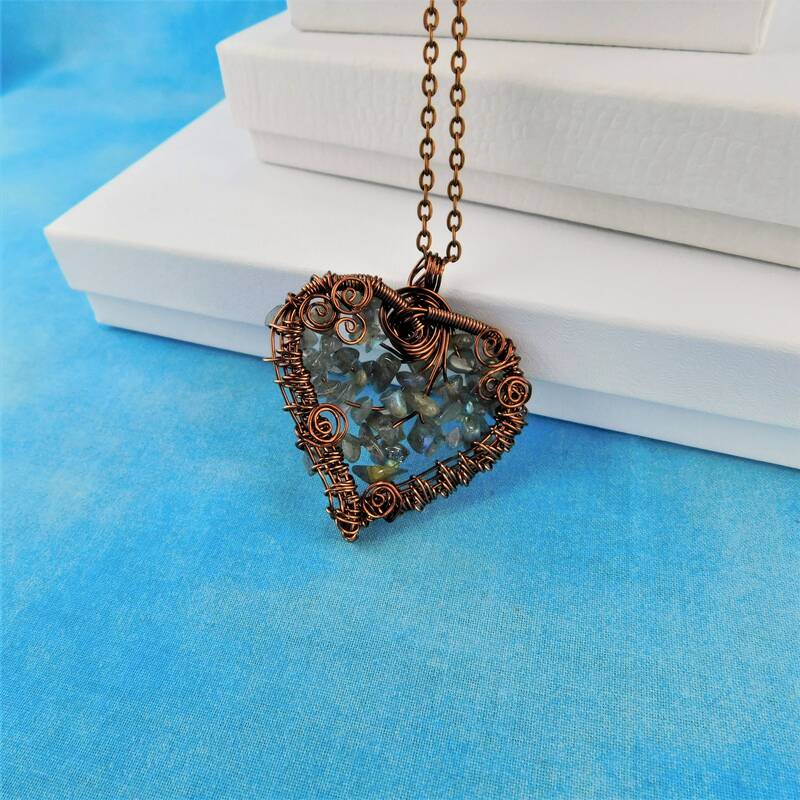 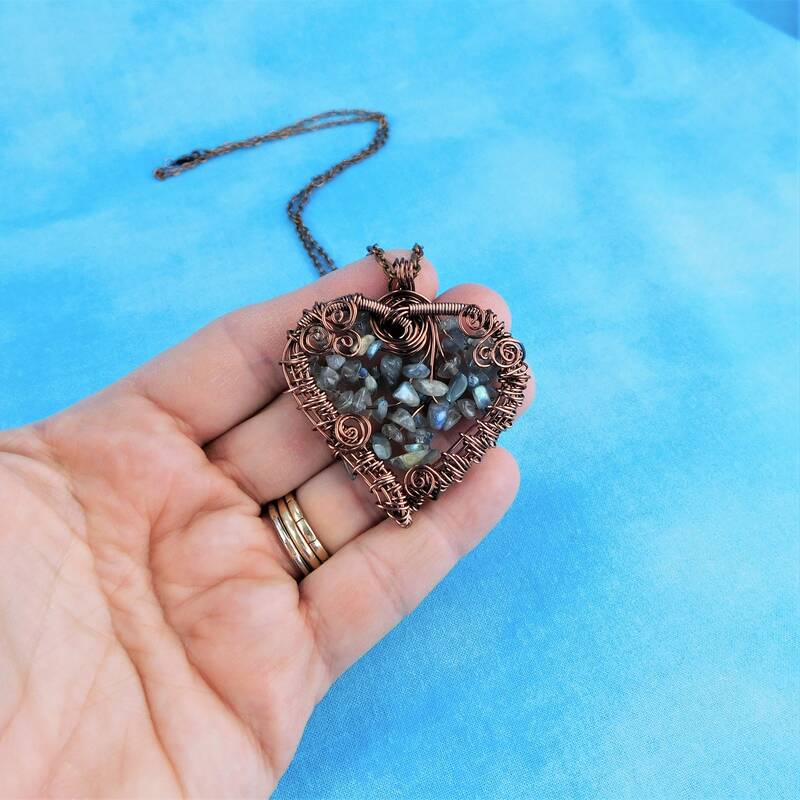 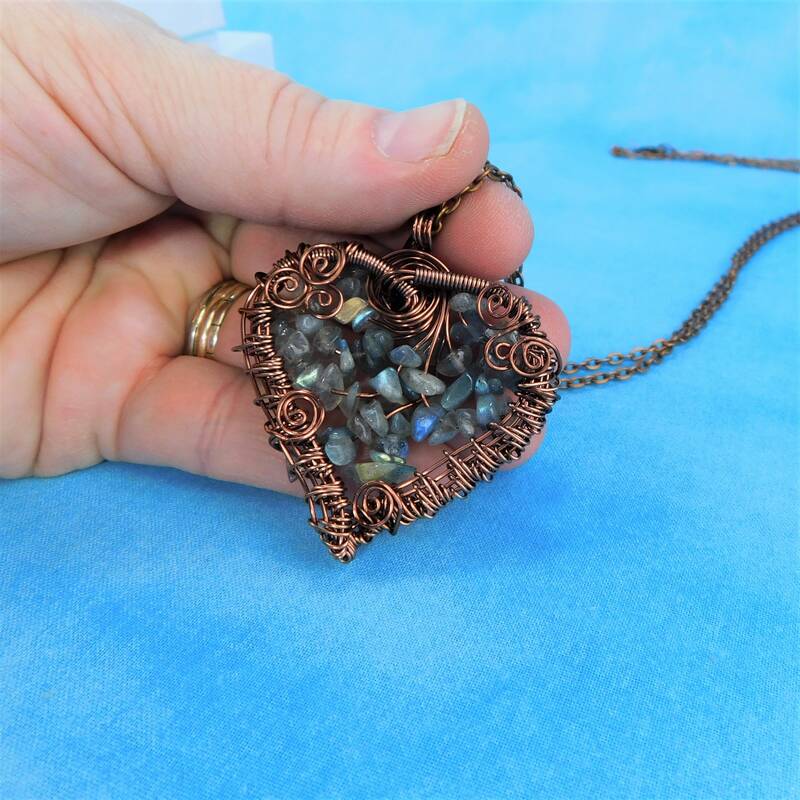 Non tarnish copper wire is meticulously hand woven and sculpted into a uniquely embellished filigree heart shape with labradorite chip beads, intricately worked into the center. 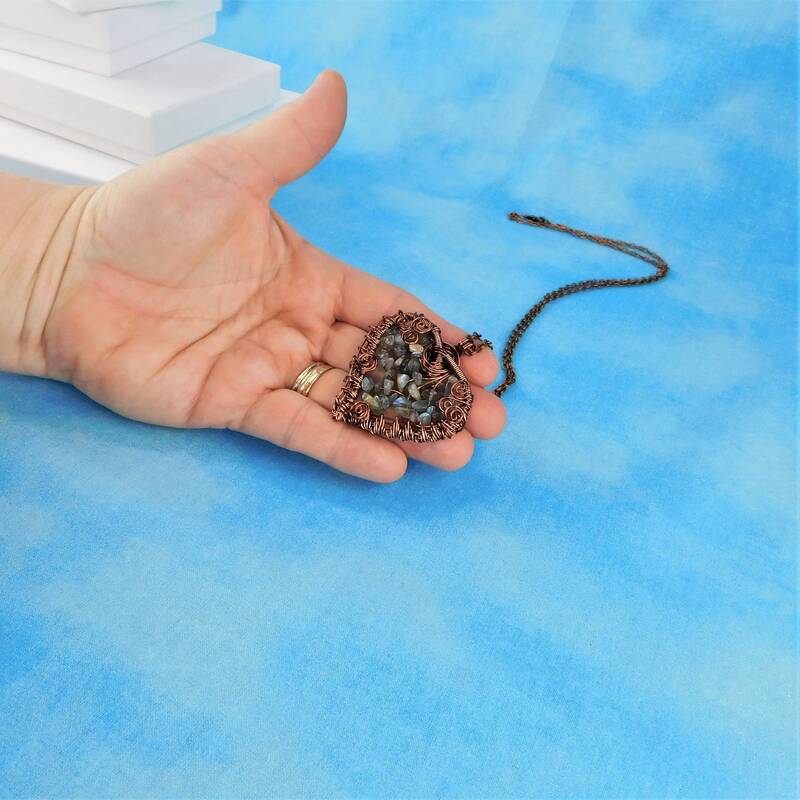 This special necklace is as unique as the woman who wears it. 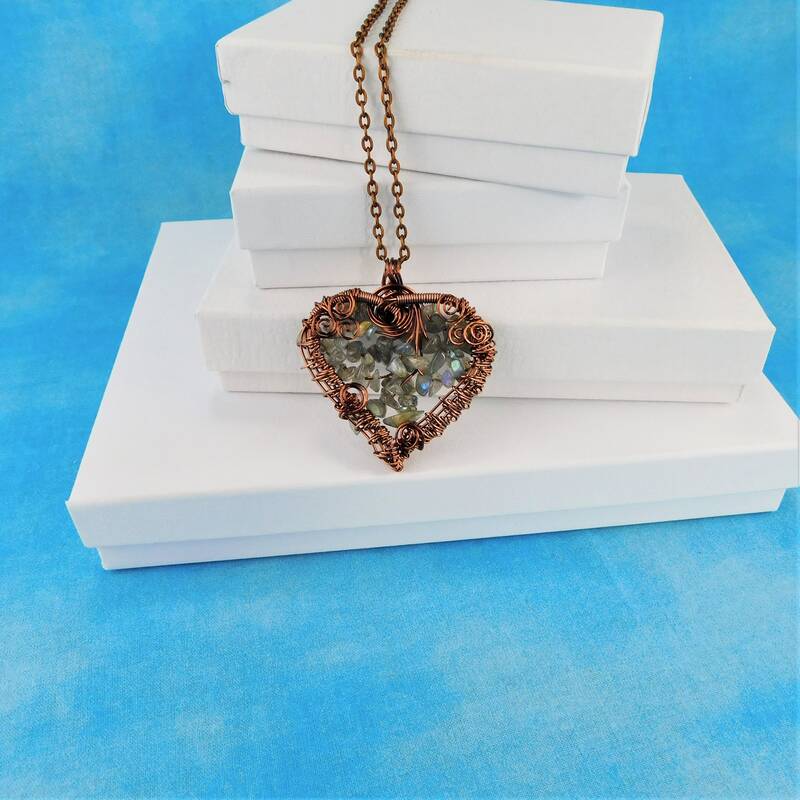 The pendant measures 2 inches by 2 inches and comes with a FREE coordinating chain with lobster claw clasp, measured to your preferred length.